I was recently asked to lead a profit share committee for a local non-profit organization who is dedicated to supporting youth. I thought sure, why not, I got this – I’m a professional fundraiser by trade and I can just throw together a few profit shares, easy peasy. I thought the odds were good, we are an organization of over 200 women, whom most have children and are dedicated to the mission of the organization of helping children. Well my assumptions were maybe 50/50. Let me tell you, I learned a lot about how to setup profit shares and I want to share it with you! For readers who may not be familiar with “profit-shares”, they are a great fundraising tool, setup to support a non-profit cause. Traditionally a restaurant or business donates a percentage of sales back to your organization in support of your mission or cause that you are seeking funds to support. If organized correctly and communicated to your community they can have a huge impact for your organization. In my blog post today, I will help you focus on getting organized and ready to setup a successful profit share, getting your message out there such as how to communicate to your organization and community about the profit share. And finally I wrap up the blog post with my most successful out of the box profit share ideas that turn big profit for your organization. Before I kick off the getting organized part of setting up a profit share, there is a first step you need to take. I can not stress this enough, you need leadership buy-in. This is a good life lesson really. If you have an idea you always need an advocate, a voice, someone who is backing you up. This could mean you’ve assembled the best profit share committee in the history of committees. In my case, I recruited my best friend (also a professional fundraiser by trade) to join my committee. She played a supportive role for me, made suggestions when necessary and most importantly she was my cheerleader. Also if your organization has a treasurer, a public relations or communications coordinator you will want to bring them up to speed on your profit share plans. They will play key roles in making your profit shares a success. Now you’re asking yourself “okay… I have leadership on board, my committee is assembled, where do I start? The following numbered list takes you through my lessons learned. I also go into detail about my evaluations after I setup a series of profit shares. Keep in mind every non-profit is different, so do what you think will be the most successful for your organization. Again, my purpose in sharing this information is to be helpful and hopefully it will inspire you to setup a successful profit share for your non-profit! 1. Getting Organized – go buy a pretty pink binder, or whatever your favorite color/pattern is, and dedicate a space for your profit share timeline, meeting agendas, notes, email communication, etc. If you’re a paperless person don’t fret, setup a folder on your computer and label it Profit Share 2016. The important lesson about getting organized is that everything needs a place. Yep that’s the big secret, so you can stop buying all of those “how to get organized” books. In everything you do, your stuff needs a home, a dedicated space to hangout until you need it. Simple, I know. Setting up a binder or folder on your computer will help with getting organized. Next, create folder tabs (this can also be done on the computer in sub-tabs). Here are some suggested tab labels: Timeline, Calendar, Marketing, Forms, Notes, Meeting Agendas, Sign-In Sheets. After you have setup your binder it’s time to start looking at a calendar and establishing a timeline. 2. Setting up a Timeline – Setting up your profit share dates are the most important timeline entries. For example will it be on a Saturday or a Monday and what time a day works best? Answer these questions by thinking about why your members or donors would go to an restaurant to participate in your profit share. We all would like to think it’s because our organization is great, but let’s get real. It needs to be convenient, it needs to solve a problem and the donor wants to feel good about their donation. i.e. “I need to pick up dinner on the way home from work.” When you think about your donors remember that every dollar given to a non-profit is a sacrifice. If you view your donors as making a sacrifice this will change your whole perspective on fundraising. 3. Setting Goals – It’s always a good idea to set a fundraising goal. Goals are great because they are a means of measurement of success and they can also be a way to gain additional buy-in from your membership and or donors. The goal you set should be a result of a few factors. This took some time to think out. This is where your treasurer or finance committee can really help you out. I took the dollar amount that we raised from the previous year and put it into a spreadsheet. Next while I met with my profit share partners (restaurants, retailers, etc.) I asked them what is the average dollar amount raised at other profit shares. By asking this simple question to my profit share partners I was able to establish a realistic goal. After establishing the goal I started telling leadership, membership and our donors what the goal was, going public holds you accountable and you gain that much needed buy-in from your constituents. 4.Branding your profit share – Pick a image that represents your organization to brand your profit share. This helps if you have multiple profit shares setup. An image will help donors identify with your organization. This image will be used on all of your profit share materials and communicate to membership and donors the exact date and location of the profit share. 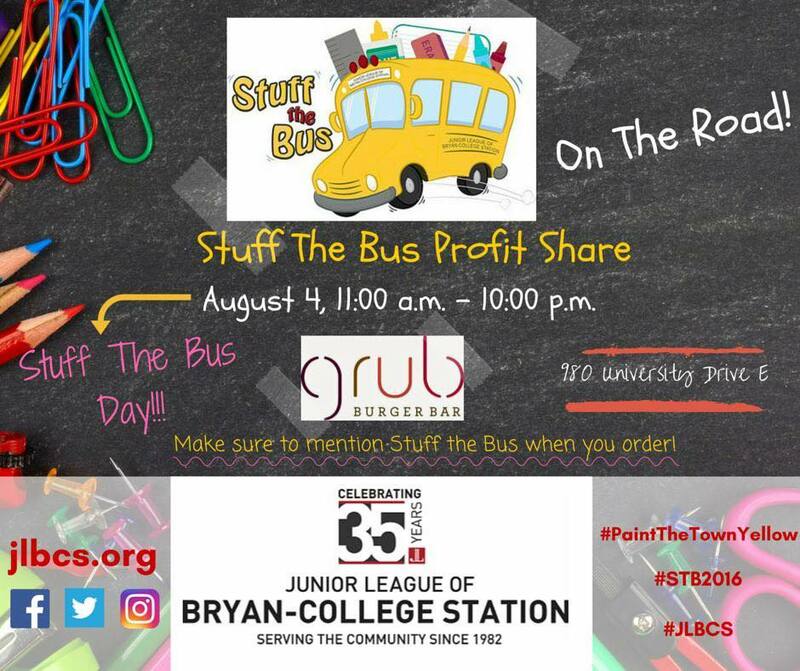 Here is an example of the image I used, the text changed based on the location of the profit share, but we always used the same backdrop of a chalk board with school supplies. 5. How do I getting my message out there? Communication is key when recruiting your membership and donors to help support your cause. Because communication can make or brake you I’ve broken it down into two sections: Internal communication and external communication. External Communication. Word of Mouth is still the best way to advertise your event- tell everyone… tell your dentist, tell your butcher, tell the lady standing behind you in the grocery checkout line. Okay maybe that’s a little much but seriously tell people about the great work your doing for your non-profit. As I mentioned before we used branded images that went out on all social media platforms, email blasts and our website. I think branding is important when you are trying to get your message out there. 6. How do you pick a profitable location? Chose a location to host your profit share that is truly partnering with you. Avoid locations that will not allow you to post information about your organization and your cause inside the establishment. Choose a location that will cross promote the event for you through social media, email and print marketing. 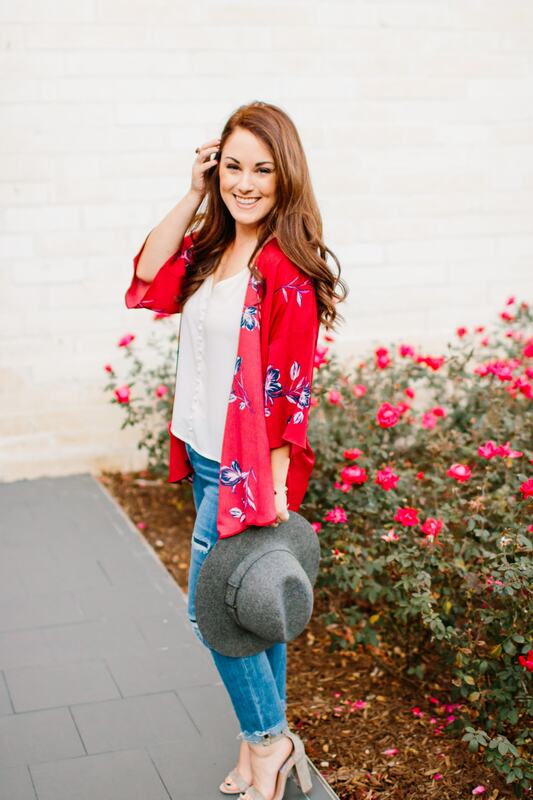 The three most unique and successful profit shares were partnering with: Sabi Boutique, a local boutique for a “Sip & Shop” event. This is a unique partnership because the owner is actually a member of the organization. Look for opportunities among your members, often there are great opportunities that already exist that you can leverage for a successful event. Painting with a Twist, a painting class. We chose a painting that represented our organization and that was kid friendly. Hosting is on a Sunday afternoon in the Summer was a great back to school activity that our members and their children could enjoy. It also stayed within our mission of the organization. Blue Baker, local bakery and lunch hot spot for many of our members. See the next point below that further explains the success we had a Blue Baker. 7. What is the most successful profit share? Keep in mind the old saying “Less is more.” The profit shares that took the least amount of my time to coordinate were my most successful. I can also attribute my most successful profit shares to the partnerships that I referenced in the last question. The locations who chose to truly partner with my organization were the most successful. My most successful profit share was with a local bakery and lunch hot spot, Blue Baker. 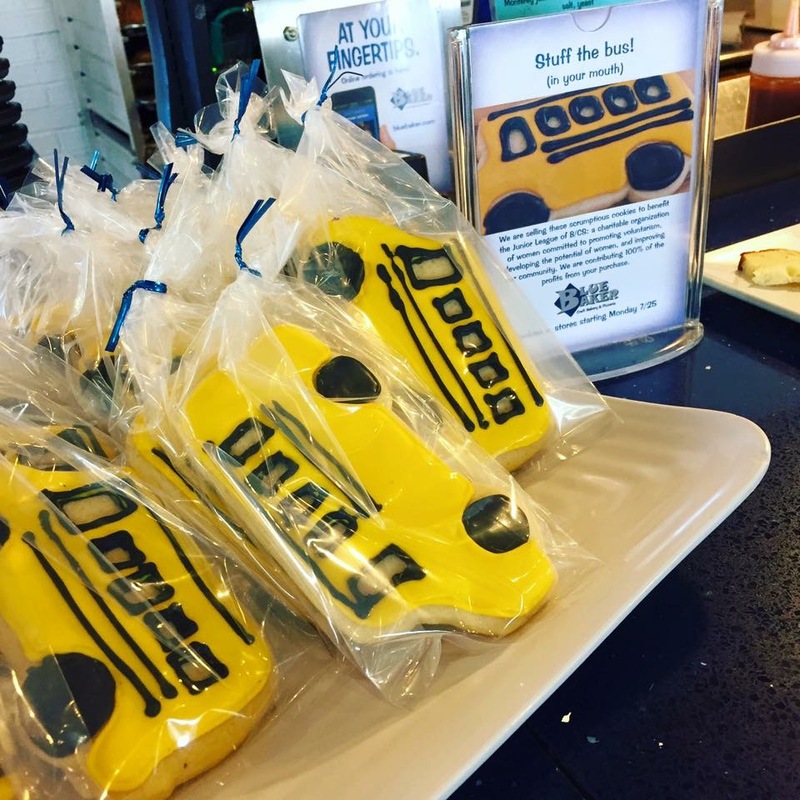 Each month the bakery chooses a non-profit organization to promote by selling customized iced sugar cookies. (side note: these cookies are off the hook, they are amazing and I would eat a dozen everyday but we all know how that would end.) Here is a photo of the magical cookies. As you can see in the photo, Blue Baker also cross promoted our profit share inside the store. They have two locations and were generous to spread the word at both locations. They now have a third location in town so I can only imagine what next year’s profit share will generate. For anyone in the Austin area, they also have a location in the Arboretum. 8. How do I get people to participate? This can also be divided into two target areas, one is your organization’s membership and the second is general public. Members – Focus on what drives your membership, what gets them motivated to volunteer. In my situation our members are driven by a point system. The members have a monetary and a point obligation. Keeping the point system in mind, I worked with our organization to allow points to be earned for every profit share attended. This helped to drive traffic to each profit share. We reached out to the general public by relying on word of mouth, social media and cross promoting email blasts from our profit share partners. This is a lot of information, I know, but I hope you were able to at least take away a few of my successes and apply them to your own profit shares. I would love to hear about any tips you have for setting up profit shares, please comment and share below!